Veteran defensive tackle who was the 51st overall pick in the 2004 draft by the Baltimore Ravens. 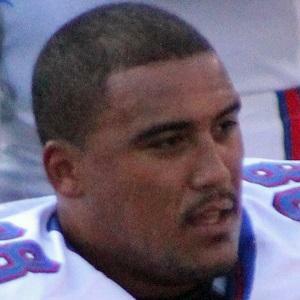 After six years with the Ravens, he spent two years with the Buffalo Bills then joined the Carolina Panthers in 2012. He was a consecutive All-Pac 10 selection during his 2002 and 2003 seasons at Oregon State University. He set a new personal best as pass rusher during his 9th season with 6 sacks in 2012. He and his wife Kelsey have daughters named Kaitlyn, Ava and son named DJ. He was teammates with Ray Lewis on the Baltimore Ravens from 2004 to 2009.